CSOFT’s culture defines how we work. We believe leadership means embodying a culture of doing better, going farther, and caring more for CSOFT’s success and to support the greater success of our colleagues and clients. 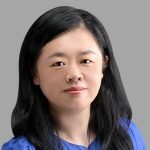 Throughout her 20+ years of industry experience, Yee has been featured in a number of publications, including the Boston Globe, the Economist, Fortune Magazine, IDG journals, and Investor’s Business Daily. Yee is a recipient of the international Stevie Award for Best Asian Entrepreneur for Women in Business, a Top 25 Globalization Executive by Globalization Today, a Fortune Most Powerful Women, and was identified by CNN Money as one of technology’s 36 most powerful disrupters. In June 2016, Yee led CSOFT into a partnership with the Shenzhen Municipal Government and launched the Shenzhen 100 research report which utilizes hard data and qualitative indicators to create a 9 dimension CGMI (China Global Maturity Index), and assists the government in implementing effective policies to support global market strategies. 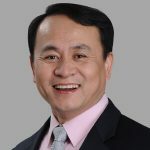 Yee is also a standing Committee Member of a leading Think Tank, the China Center for Globalization (CCG), which is dedicated to the globalization of China’s enterprises and talent. 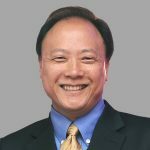 Yee holds a Master’s degree from Rhode Island College and has completed a senior executive program at Harvard Business School. She has been recognized for her many contributions in the sphere of education in China and around the world at Guangdong University, the John Hopkins-Nanjing Center, the Asian University for Women, and the Let Girls Learn initiative. 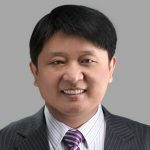 Bringing more than 15 years of experience to his role at CSOFT, Carl Yao is responsible for the strategic planning and business development of CSOFT’s services, products, and technologies across North America, Asia, and Europe. With the goal of leveraging and expanding CSOFT’s globalization solutions portfolio to optimize business outcomes and help customers extract greater value from CSOFT’s offerings, Carl plays a key role in the formulation and execution of long-term strategies. 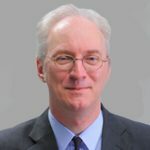 Prior to CSOFT, Carl was the principal architect for the development of the world’s first multilingual speech engine that used natural human voice to synthesize speech at the company he founded, YAOS Technologies. He also served as the CTO for Animation Technologies, based in Boston, Massachusetts. Carl has a Bachelor of Arts in Mathematics and Computer Science from Whitman College in Washington State and a Master’s degree in Computer Science from Brown University. A well-published author and spokesman on the topic of life sciences localization, Richard has been instrumental in optimizing/streamlining the life sciences localization process to reduce overall costs and increase quality deliverables for Fortune 500 clients. Richard has founded and managed several successful businesses including a venture-back e-Commerce company. He began his career as a scientist doing research on Diabetes, Parkinson and Hemophilia utilizing gene therapy. Richard has an MBA in Marketing and a BA degree in Biology. 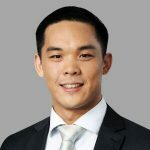 Hailing from Paris, Philippe Cao has a wealth of experience in localization and in helping Chinese companies communicate effectively in foreign markets. As CSOFT’s General Manager for China Localization Services, Philippe walks alongside our Chinese clients as they overcome the challenges and the complexity of doing business internationally. He speaks fluent Chinese, English, and French. 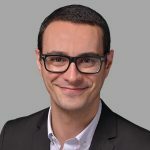 Prior to CSOFT, Philippe worked as a key account manager for Brother International in France. He holds a Master’s degree in Finance from INSEEC Business School. 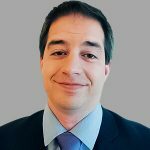 Originally from Italy, Diego Di Leva is a Senior GR Manager and focuses on Corporate GR and GLT. He started working for CSOFT as a freelance transcriber in 2010 and continued working as an Italian QA Specialist/Translator for five years. Prior to joining CSOFT, Diego worked as a Tech Consultant for two years at a leading Italian mobile company. 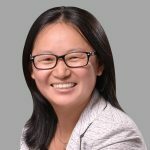 Linda Liang is responsible for managing CSOFT’s accounting, reporting, and financial activities, in addition to overseeing the financial department. Prior to CSOFT, Linda managed several large multinational projects and conducted a number of complex foreign investment audits in China. 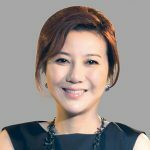 She has worked for several leading accounting firms, including Huachen International Investment Consulting Ltd. and Sino Reality Inc.
Linda earned the International Accounting Standards certification from the Institute of Financial Accountants of England and is an official member of the National Institute of Accountants of Australia. She holds a Bachelor’s degree in Economics from Shandong Financial Institute of China and is a Certified Public Accountant. Living in Canada, Paul Canton is the Director of Marketing for North America and Corporate Communications for CSOFT International. Paul is responsible for working directly with management and sales to drive business development and client services. Though he started in Political Science at Saint Mary’s University, in 2003 he made the move to the life science localization industry. Paul has more than 15 years of experience working in the translation and localization industry. 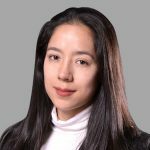 Alma Gomez is responsible for recruiting international talent across CSOFT’s China offices. 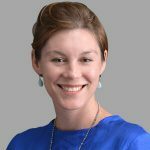 She creates and implements talent acquisition strategies to ensure that CSOFT attracts and hires the best people in the industry. She also leads the company’s talent development program in order to nurture employee growth, promote culture and ensure that our staff are fully committed to CSOFT’s mission, values and direction. Alma joined CSOFT in 2013. She holds a Bachelor’s degree from UPAEP University in Mexico and City University of Seattle. A proven expert in the localization industry, process driven and goal oriented, Martin co-directs operations in North America for CSOFT. 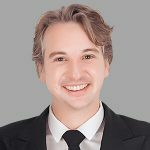 His in-depth knowledge of the localization industry, experience in different roles and tech training is applied to massive cost savings, standardized/scalable processes, and improved client satisfaction. His career started out as a freelance Spanish translator in Buenos Aires until he moved to NYC and worked for multiple translation companies. First as a Project Manager, then Account Manager, then Sales and now Co-Director of Operations. Originally from the UK, Joshua Hughman has over 8 years of work experience in China, where he has developed a deep knowledge and love of the local business culture and learned how to successfully integrate Western and Chinese teams. He is an expert in the language and content challenges facing companies going global and he and his team have supported many of China’s top brands on their international journey. Marisa is responsible for coordinating global sales support for CSOFT’s top international clients. Marisa’s responsibilities include client relationship management and resource alignment to best serve the end goals of these multinational organizations. Prior to joining CSOFT in 2005, Marisa co-founded a corporate event planning company, EasyEvents, in Beijing. Marisa holds a Bachelor of Science degree in Cognitive Science from the University of California, San Diego. 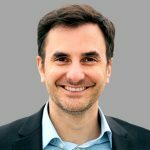 With more than 15 years’ experience in writing, publishing, and content creation, Tom Rennell heads up the Global Communications department delivering customized content solutions to a range of clients. 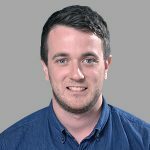 A published author, Tom has worked across of content related industries including journalism, publishing, communications, and technical writing in the UK, US, and China. Jason holds a Bachelor’s degree in microelectronics &amp; solid-state electronics from the University of Electronic Science and Technology in China. Lucy worked in the Localization industry right after her graduation from Beijing Foreign Studies University. With about 15 years of experience in almost every link of the business, she has built comprehensive knowledge of the industry which includes but not limited to its development, sales & key account management, and all sides of localization operation. She also has excellent managerial ability and communication skills, with proven leadership in big accounts and its cross-border operation team management. Now Lucy is focusing on operations for China market and customers after she has proven herself as a great sales leader. 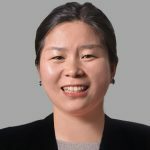 Sherry Wu is responsible for supervising globalization deliveries, focused primarily on coordinating production resources to ensure quality deliverables to CSOFT clients in both a time and cost-efficient manner. Having spent over 12 years in the localization industry, Sherry previously worked as a professional translator for WorkSoft. Sherry holds a Bachelor’s degree in Polymer Material Science and Engineering from Beijing University of Chemistry Technology. 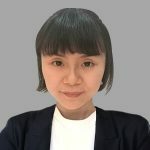 Angie Zhang is co-directing CSOFT’s North America Business Unit, supporting sales, and is accountable for P&L across Beijing, Shanghai, and San Francisco offices. Starting as a project manager 10 years ago, Angie has years of hands-on experience serving multiple Fortune 100 clients, with keen insight towards customers’ expectations. Angie holds a Bachelor’s degree from Beijing Foreign Studies University and an MBA from the Capital University of Economics and Business. As Chief Representative and Lead German Linguist, Klaus heads the German CSOFT office in Düsseldorf. In addition to his executive tasks, Klaus continues to be an active translator within his in-house team. Having over 25 years of experience in the translation industry, Klaus joined CSOFT in 2007, previously co-founding Intecas oHG and initially founding his first translation company in the 1980s. With his expertise in workflow optimization, QA automation and tools development, Klaus was instrumental to the development of the first font memory cartridge (FontBox) for laser printers, as well as the development and marketing of the first card reader system for Japanese memory cards for Windows PCs in Europe.